Lager Day will take place on Saturday September 22nd from 12:00 noon to 6:00 PM as part of Toronto Beer Week, and will feature several lagers brewed on-site at Goose Island, plus guest taps from Amsterdam, Burdock, Creemore Springs, Godspeed, Muddy York, Oxbow, Rorschach, Rhythm and Brews, Sawdust City, Side Launch, Stone City, and Tooth & Nail. 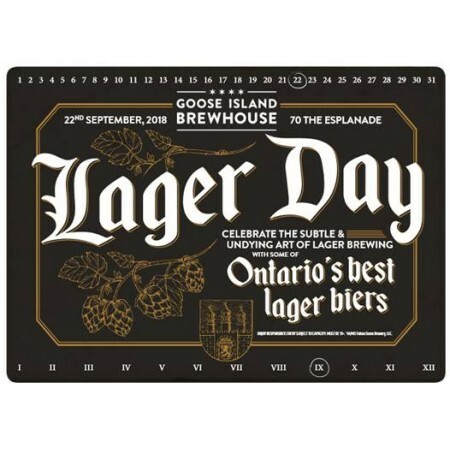 Lager Day is a free admission, pay-as-you-go event at Goose Island Brewhouse Toronto (70 The Esplanade). For more details, see the Facebook event listing.